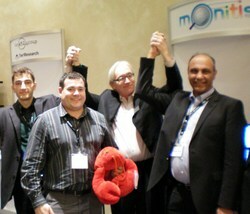 Monitis, the leading provider of affordable, easy-to-use, 100% Cloud-based, network and systems monitoring solutions, has won the Innovators Showcase at The 451 Group 2009 Annual Client Conference held in Boston, USA held on November 3-4. "With its ability to do performance monitoring, testing and configuration management in the Cloud, and of workloads running in the Cloud, at an affordable price, we believe Monitis is a company to watch in the nascent Cloud management space." The Innovator’s Showcase highlights some of the world’s most exciting early-stage IT companies. Following a presentation to the conference, Monitis was voted the most innovative new start-up by attendees, who included leading venture capital firms, investment banks and peers in the technology industry. A key theme at the conference was computing in the Cloud and how it is changing the rules for enterprise IT. Monitis, as the first and only 100% Cloud-based, enterprise-grade, all-in-one suite network and systems monitoring tools, embodies the benefits of this shift to the Cloud. In addition to freeing up massive amounts of time for IT managers who would otherwise be stuck sitting on-site with software-based systems, Monitis is simple to use, employs a Software-as-a-Service (SaaS) subscription model which keeps costs low, and stops companies from having to worry about things like upgrades or server maintenance that are part of the hassle of software-based monitoring solutions. "The cloud is the next frontier of IT operations management," said Dennis Callaghan, enterprise software analyst at The 451 Group. "With its ability to do performance monitoring, testing and configuration management in the Cloud, and of workloads running in the Cloud, at an affordable price, we believe Monitis is a company to watch in the nascent Cloud management space." Monitis is a 100% Cloud-based, complete, and flexible IT monitoring solution, offered on a Software-as-a-Service (SaaS) model. 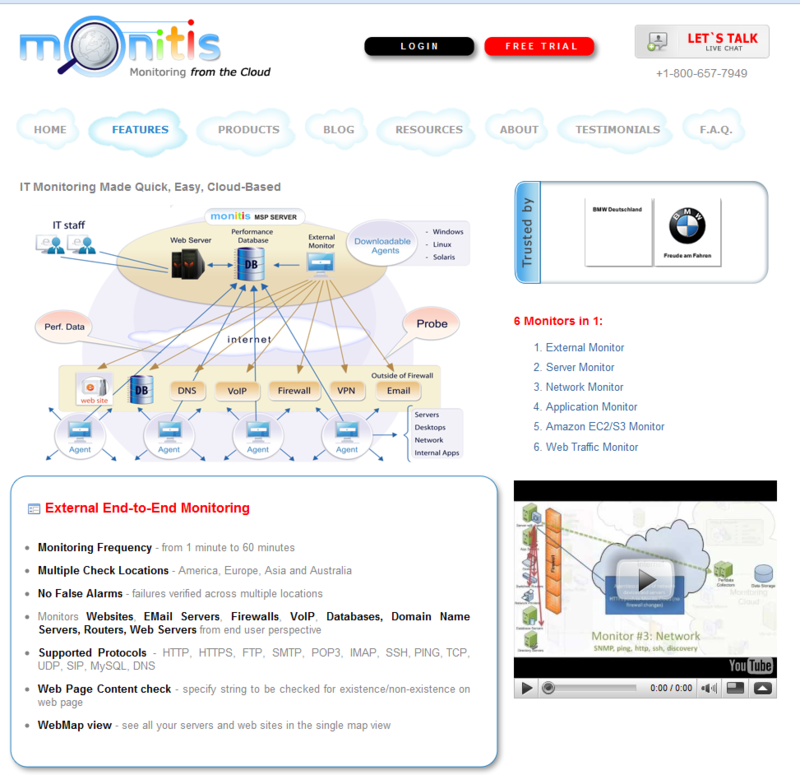 Monitis consolidates backend monitoring, application monitoring, website monitoring, and cloud monitoring in an all-in-one, central monitoring service. The platform is easily customizable and may be used for managing of all kinds of IT assets such as websites, servers, routers, switches, VoIP devices, DNS, databases, processes and any other IP devices. 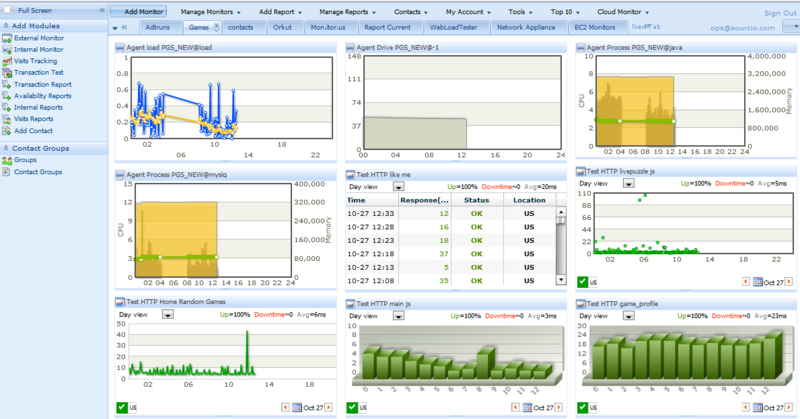 Monitis provides users with a comprehensive view of their system’s health and performance. Besides Monitis’ enthusiastic and loyal user base of 50,000 customers from small businesses to Fortune 500 companies to government agencies and educational institutions, Monitis has won rave reviews from the technology analyst community for how its Cloud-based monitoring helps companies reduce system downtime, improve the productivity of their IT staff, and reduce operational expenditures.